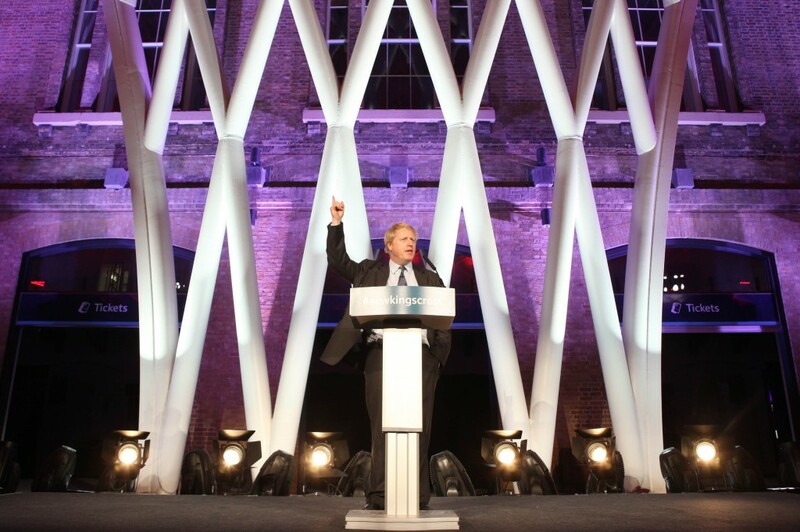 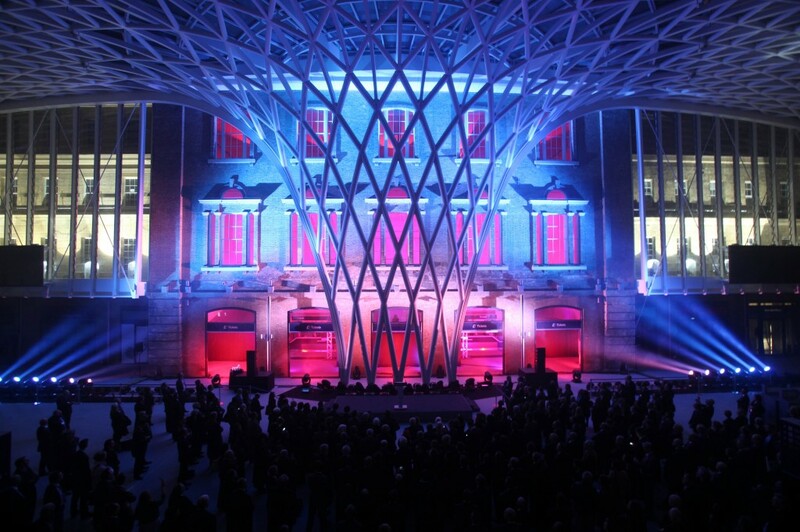 The official opening ceremony was the culmination of a £500 Million project conceived in 1997. 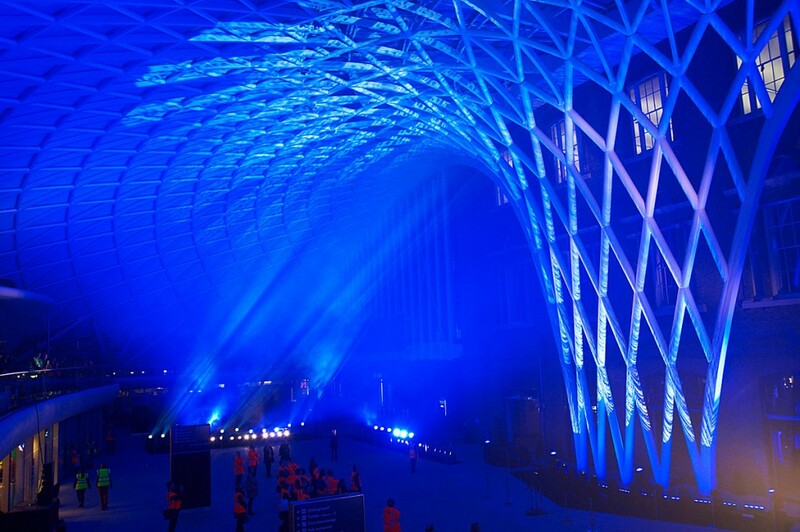 Architects John McAslan and Partners delivered a stunning webbed arch spanning the station concourse receiving the prestigious New London Architecture ”Overall Winner” award. 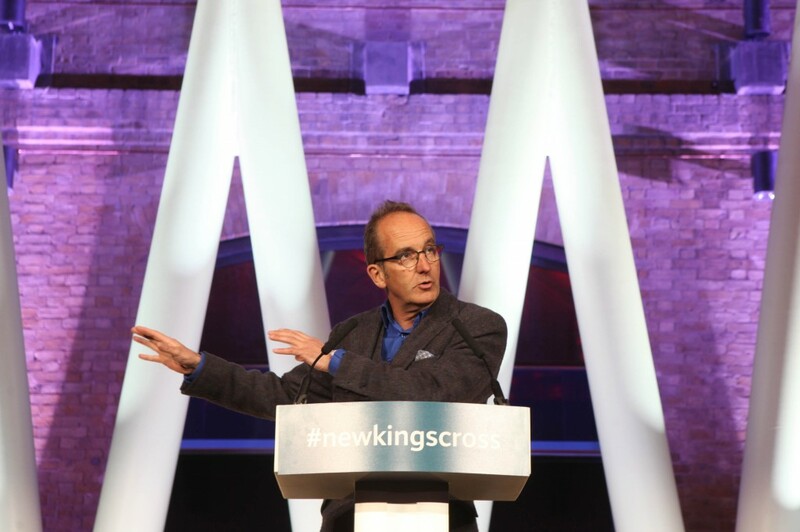 The ceremony, created by Unspun for Network Rail, was hosted by Kevin McCloud along with Boris Johnson, Justine Greening the transport secretary, David Higgins Network Rail chief executive and David Partridge of Kings Cross Central. 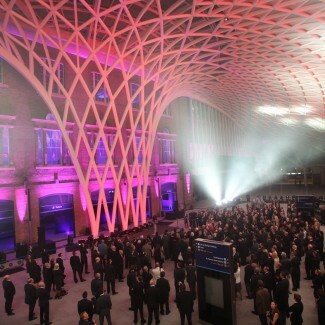 The event featured a soundscape scored using sounds captured from the day to day activities of the railway network. 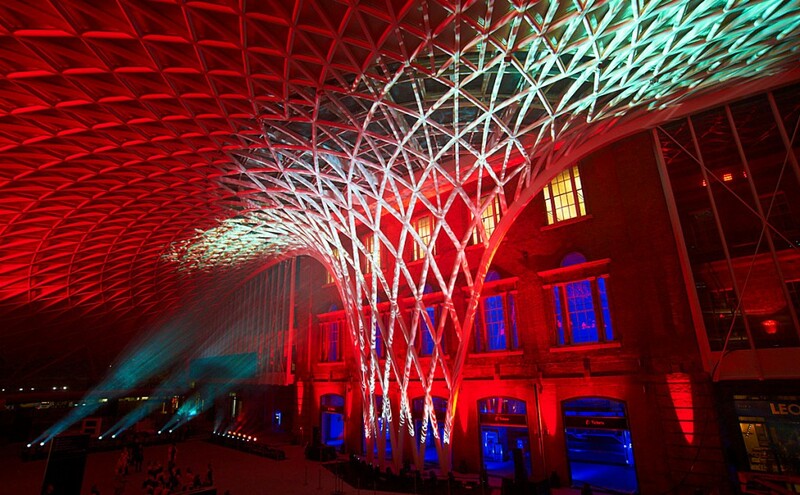 This evolved into a musical work based of the rhythms of the track and sounds of the trains reflected in an orchestral setting. 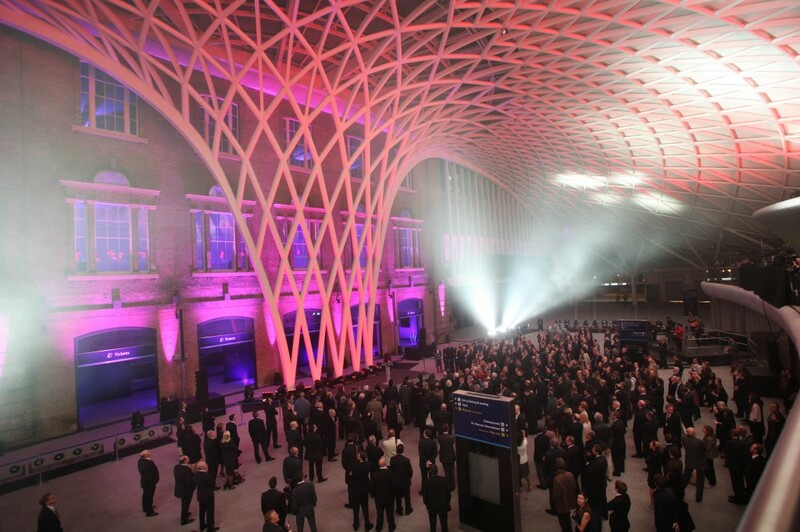 The finale was a Son et Lumiere across the 7500 square metre western concourse highlighting the shapes and reflections of the new design. 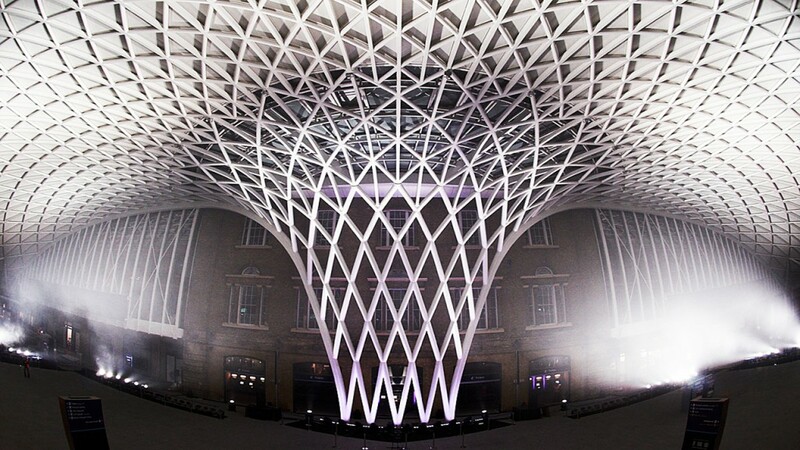 The 20 metre high latticework “funnel” constructed of steel and glass was the centre piece for lighting designed by Glyn Peregrine. 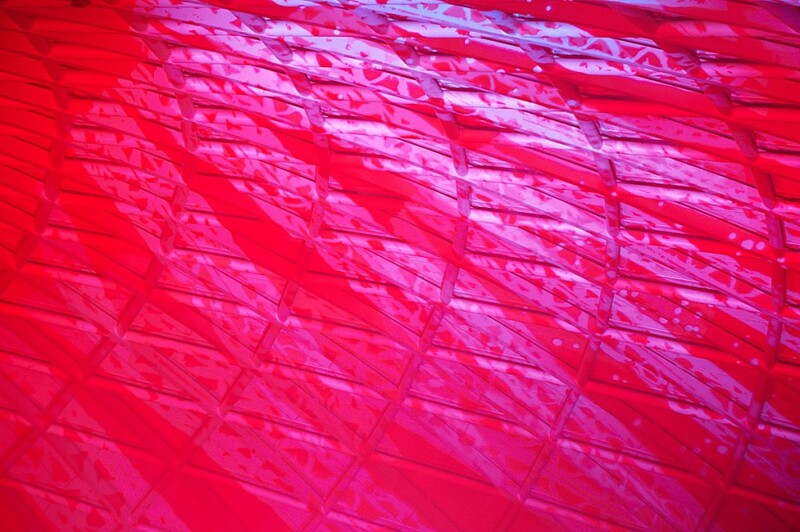 The soundtrack was realised using a multi-channel and multi-space sound system allowing the audio to be fine-tuned to the environment as well as providing sound quality of cinematic proportions. 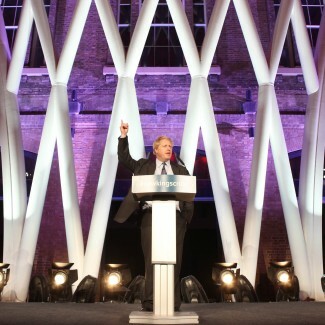 There was also a documentary of the project produced by Wilder.